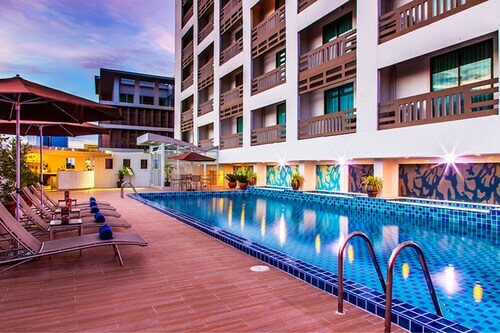 Located in Bang Na, this hotel is 0.9 mi (1.5 km) from Sikarin Hospital and 2 mi (3.3 km) from CentralPlaza Bangna. Mega Bangna and Bangkok International Trade and Exhibition Center are also within 6 miles (10 km). 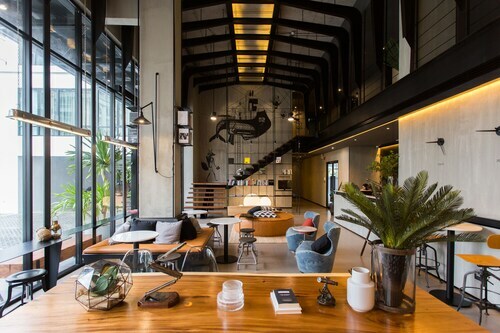 Located in Bang Na, this hotel is 2.2 mi (3.5 km) from CentralPlaza Bangna, and within 6 mi (10 km) of Bangkok International Trade and Exhibition Center and Seacon Square. Mega Bangna and Samutprakarn Crocodile Farm and Zoo are also within 9 mi (15 km). 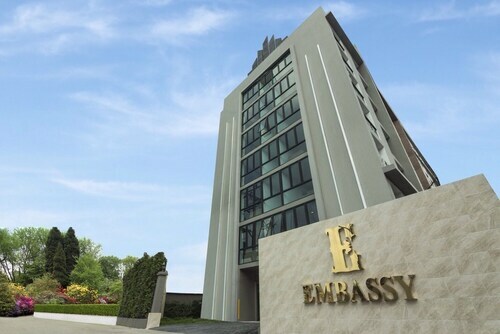 Located in Bang Na, this hotel is within 3 miles (5 km) of CentralPlaza Bangna, Seacon Square and Suan Luang Rama IX Park. Bangkok International Trade and Exhibition Center is 2.7 mi (4.3 km) away. 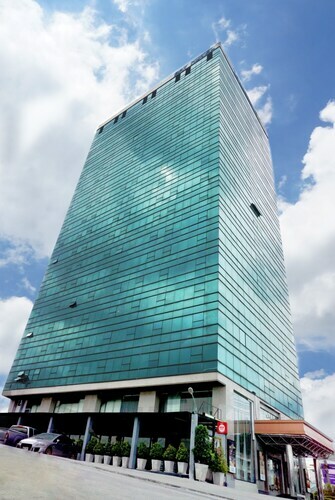 Located in Bang Na, this hotel is within 3 miles (5 km) of CentralPlaza Bangna, Mega Bangna and Seacon Square. Sikarin Hospital and Paradise Park are also within 3 miles (5 km). 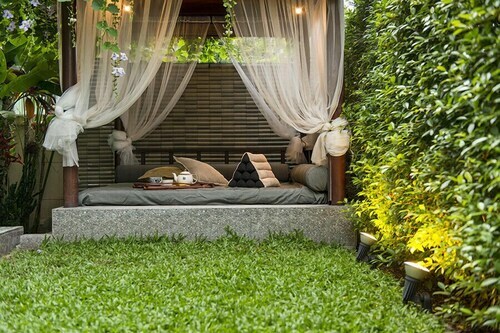 Located in Bang Na, this condo is 1.3 mi (2.1 km) from Sikarin Hospital and 2.3 mi (3.7 km) from CentralPlaza Bangna. Mega Bangna and Bangkok International Trade and Exhibition Center are also within 6 miles (10 km). 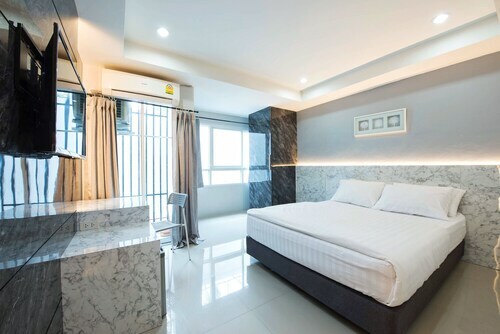 Located in Bang Na, this hotel is 1.1 mi (1.8 km) from CentralPlaza Bangna and 2.3 mi (3.7 km) from Bangkok International Trade and Exhibition Center. Paradise Park is 3.1 mi (5 km) away. Located in Bang Na, this villa is 2.1 mi (3.3 km) from Sikarin Hospital and within 6 miles (10 km) of Bangkok International Trade and Exhibition Center and CentralPlaza Bangna. Paradise Park and Imperial World Samrong are also within 6 miles (10 km). 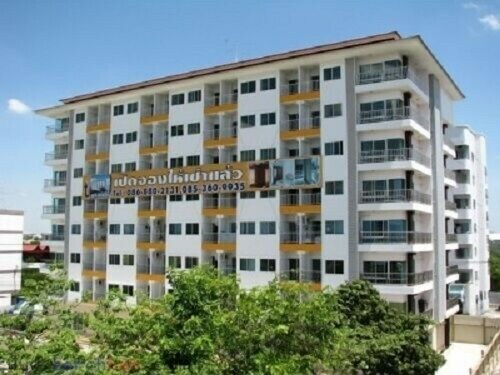 Located in Bang Na, this aparthotel is 1.3 mi (2.1 km) from Sikarin Hospital and 2.3 mi (3.7 km) from CentralPlaza Bangna. Mega Bangna and Bangkok International Trade and Exhibition Center are also within 6 miles (10 km).